One of the reason that we should be proud of. We have the best resort that has a world-class quality. Barefoot elegance is the prevailing vibe on this tiny island, where the 2 ½-mile stretch known as White Beach is often singled out for having the softest sand in the world. The 88 spacious suites feature large glass walls that look towards a scenic rock garden, but chances are you'll spend more time by the water. Take a dip in the infinity pool, or jet-ski on the crystalline sea. For people-watching, head to the Sandbar, where they stir up delicious mojitos, infused with local flavors like lychee and mango. Sing your heart out with the recreation lounge’s selection of 1,000+ (mostly English-language) karaoke tunes. 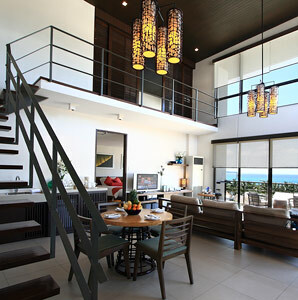 Suites #318 and #330 have outdoor Jacuzzis, loft bedrooms, and views of the entire resort. Chefs at Indigo restaurant can prepare a customized, multi-course degustation menu—just make sure you give them 24-hours' notice.